When presented with an ever-growing complexity of protection and automation functionality, modern Distribution Network operators are faced with a formidable challenge of interrogating and understanding network IEDs. It is, after all, their responsibility to have a solid grasp on the assets which they are charged with maintaining. The semiconductor revolution of modern protection relays has led to a veritable arms race in protection systems design as competing relay and switchgear manufacturers relentlessly proliferate the suite protection functionality offered in their equipment. In the end, the network operator is often left bewildered and discouraged by the monstrous level of capability contained within these network IEDs. It is up to manufacturers to develop an intuitive solution, to make the most complex system very simple to use. NOJA Power are the manufacturers of the OSM Series reclosers with the RC Series controllers system. With a relentless release schedule of optional feature laden firmware upgrades per year provided freely to existing customers, the functionality growth has been nothing short of astonishing. With IEC 61850, IEC 61499, and a host of Cogeneration/Synchronising functions being among the latest offerings, there is certainly enough capability to satisfy even the most ambitious protection engineer. The challenge that has been presented to NOJA Power is in simplifying the user experience, to make these nth degree capabilities accessible to utilities and operators worldwide. The solution to this challenge has been achieved. 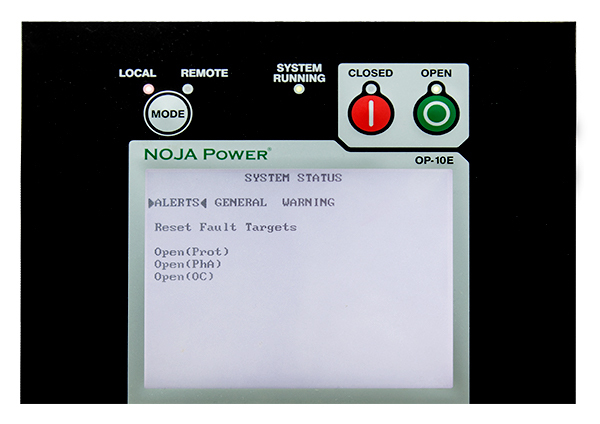 Within the latest firmware iteration from NOJA Power for their RC10 and RC15 controllers, the lessons learned from the Warning capabilities have been expanded out to include a new Alerts page. A fully customisable HMI panel screen with user definable alerts allows protection engineers to map any function to a single binary status for display on the Screen. Gone are the days of menu surfing or unpacking laptops to only find out if a fault passage has occurred. The modern linesperson can arrive at site, turn on the RC10 HMI screen and immediately be presented with the information which the Protection Engineer has deemed necessary. If the fault was downstream, they close the controller door, climb down their ladder and travel on to the next device. If the battery is faulty, a replacement alert is immediately visible. Far too often, valuable network IEDs such as the NOJA Power OSM Recloser system are capable of a staggering amount of protection and automation capabilities, but utilities are hamstrung by the organisational and training challenges of the wholesale utility wide implementation of advanced protection capability. When considering the benefit of utilising new automation and protection functions, consideration should always be given to the ease of testing and training. With the addition of the alerts screen as the very first interaction an operator has with the NOJA Power Recloser upon arriving on site, this organisational challenge is simply a ghost of the past. By implementing protection and automation with this level of simplicity, it’s very easy to see how effective post-fault network patrolling would be. Extensive protection functionality may be effective for network usage, but all new technology must be feasible from an operational perspective. The addition of customisable onscreen alerts provides utilities with the versatility and manageability they need to incorporate more advanced protection schemes into their network. If the true hallmark of achievement is not only complexity, but a simple presentation of the underlying complexity, NOJA Power have positioned themselves as a leader in user experience in network IEDs. 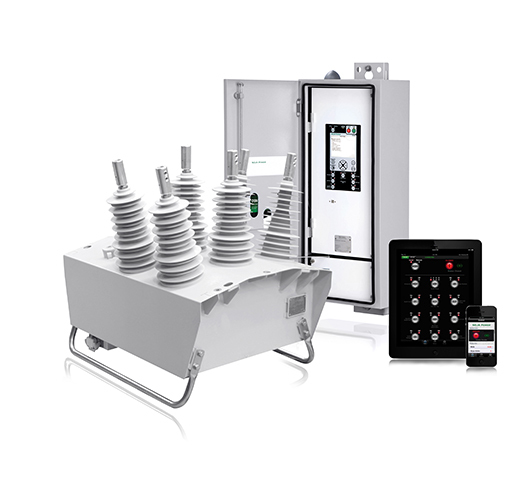 By providing engineers with the capability to develop custom alerts on the RC10 controller HMI panel they have effectively provided a solution to the challenge of integrating complex automation and protection schemes across a network. Available as an upgrade to all the NOJA Power RC10 and RC15 controllers, the onscreen alerts are a welcome addition to the suite of functionality. Above all, this augmentation makes the proliferation of protection and automation much more accessible for utility users.